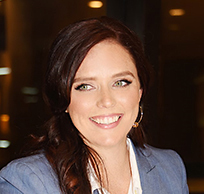 Megan Fitzpatrick is a young, dynamic professional educator with a passion for teaching and learning. A local South Floridian, Megan attended Saint Mary’s college in South Bend IN and earned a double major Bachelor of Science in Mathematics and Secondary Education. Worked with Education Fund and Miami Dade College on curriculum development for closing the student achievement gap. Megan has collaborated with a board of Professors from FIU and Miami Dade College to create the curriculum for Math for College Readiness. Working with Miami-Dade County and the Hacer Program, Megan worked to create partnerships and open dialogue to help establish more of a base of communication between high school and post-secondary institutions. Graduating with an MBA in May 2016 Megan founded The Fitz Solution, a consulting company providing teachers and educators opportunities to supplement their income. Leveraging networks and experience in the classroom, tutoring and consulting The Fitz Solution empowers both educators and students. Most recently The Fitz Solution launched The Ultimate Selfie workshop for teens to discover and define their core values, passions and strengths to create success in their social, academic, and professional lives.